Christine Wilson currently serves as the Director of Advancement at Hospice of the Chesapeake. Wilson joined Hospice of the Chesapeake in June 2008 as Events Coordinator and was quickly was promoted to Manager. Given her extensive experience and knowledge, she was promoted to Director of Advancement in December 2017. Wilson is responsible for all aspects of fundraising for the non-profit organization and leads a team focused on an annual fundraising goal of close to $2.5 million through special events, major gifts, special and direct appeals and memorials donations. As a non-profit organization, Hospice of the Chesapeake relies on fundraising to support the elements of hospice care that are not reimbursed by Medicare or traditional insurance. As well, fundraising dollars support the long-term strategic initiatives as determined by the Boards of Directors. 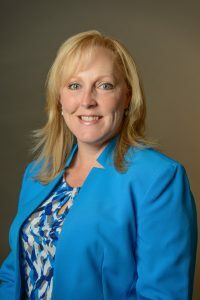 Wilson previously served as the Vice President for Programs and Events at the Annapolis and Anne Arundel County Chamber of Commerce.